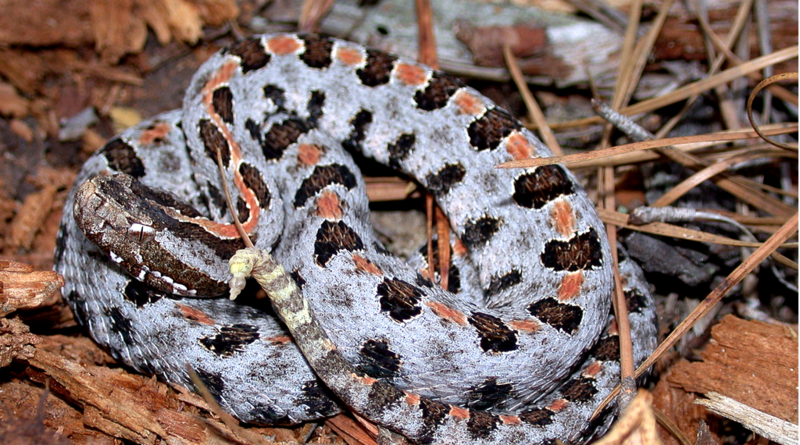 Sistrurus miliaris miliaris, the Carolina pigmy rattlesnake. Hiking in Mistletoe State Park a family finds two Carolina pigmy rattlesnakes, the most distinctly patterned, and variably colored subspecie of the pygmy rattlesnake group. The snake ranges from eastern North Carolina, southwestward through most of South Carolina, across central Georgia and Alabama, and into a small portion of east central Mississippi.